A Collection of One – Hello Korea ! The art installation we’ve been working on the past month is to illustrate the relationship between the number 1 and 200,000. We lose sense of the impact of our actions when we allow ourselves to look at only the number right in front of us. The reality is that 200,000 is almost unfathomable. This is an attempt at showing what one looks like, 200,000 times. One adoptee at a time, processed in the perpetual motion machine that is international adoption. Now that I’m in Korea, I find myself having too much to say. This piece is part of that. Lately I’ve been thinking a lot about numbers. Well, actually I guess I’ve been thinking about numbers for all my life. Mostly about one number, by itself, which I think is very common among adoptees, as they must by default bear their losses on their own when they are sent to foreign countries – where no one in their families can understand what it is to look different, or to be disconnected from those that look like them, or have to explain their existence, or try to reconcile why they were given up. One is the number we adoptees know too well. When I read statistics about the number of social orphans (children with living parents but called orphans) created each year I get so sad. When I am told to be happy because the numbers are decreasing, it doesn’t cheer me up because every social orphan created means one more child who must learn the meaning of one on a profound level. Being exiled from your mother, your mother country, and your mother tongue is a loneliness I wouldn’t wish on my worst enemy. 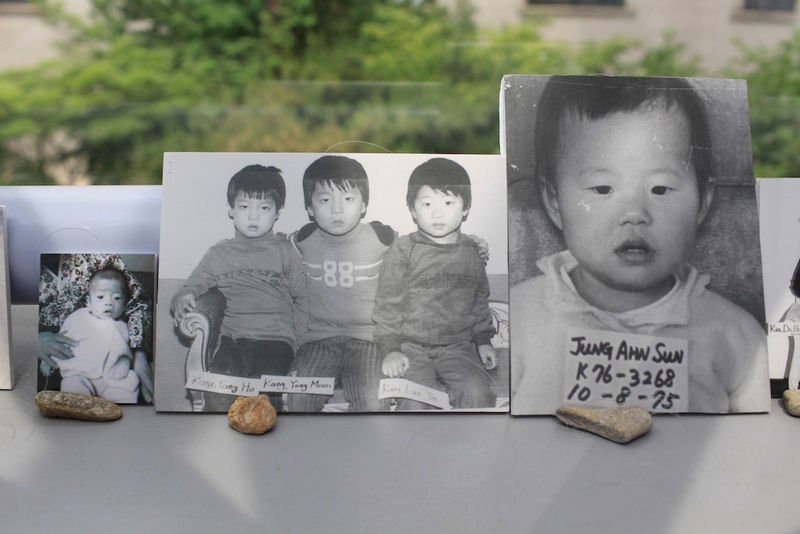 These days, on average, approximately 3 children a day are sent out of Korea for adoption. During the peak year of international adoptions, 1985, the average was more like 10. They are both small numbers, yet they add up. In Korea’s case, they add up to almost 200,000. To me, 3 children a day is one lifetime + another lifetime + another lifetime. 3 is a huge number to me. Here in Korea, I watch and listen and try to love this place. I try to understand why my country threw me away, and I think I can and I think I forgive. But I can’t understand why there are still 3 more children leaving every day. In a rich country without war or famine, there seems to be no valid reasons for creating orphans out of children with living parents. And as I learn about the excuses why 3 children continue to be thrown away every day, I sometimes think I am glad I was sent to America. Because in America, I was able to be a single mother and go to college and have a career, because my government helps take care of its citizens, and I know that I would have struggled twice as hard and been cruelly judged here in Korea. Thank goodness my children, the love of my life; my reason for being, weren’t born in Korea, or someone might have forced me to send them away for adoption. Preserving family honor by eliminating an innocent person is not an honorable act. Hiding dark secrets is not an honorable act. Creating an industry out of disappearing children is not an honorable act. Preserving one family by destroying another is not an honorable act. No. This is the opposite of honor or family values. This is hypocrisy. 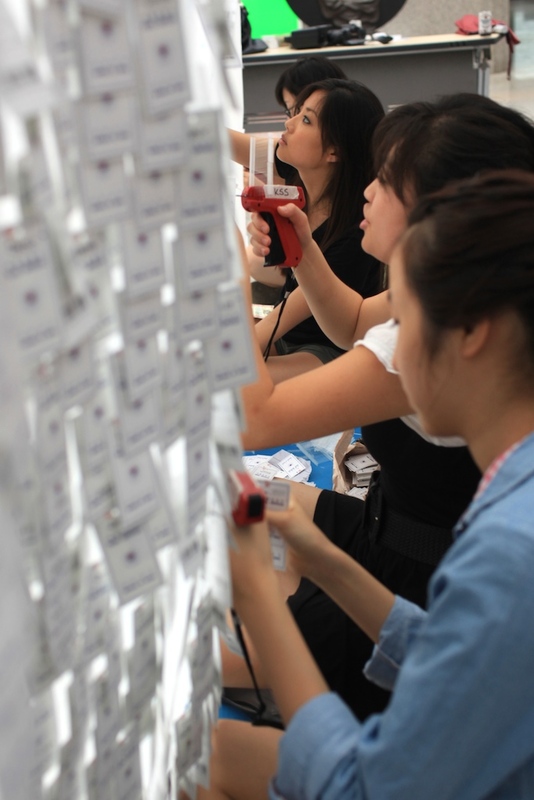 Penalizing women for indiscretions or unfortunate circumstances not only hurts the women and their children – but it also hurts Korea – in both potential citizen numbers and emotional trauma to society at large. These women are no disgrace to Korea: KOREA’S NEGLECT OF THEM is the real disgrace, and the resulting expulsion of their children abroad makes Korea look like a third world charity case. These women who choose to face their mistakes and bear their responsibilities indicate a true strength of character and maturity that is missing from the claims of many Koreans, typically their harshest critics.. (We have a word for people who try to hide in shame: cowards. Cowards are threatened by those with integrity). Any woman who chooses to prevail in this harsh climate so she may raise and nurture the flesh and blood she brought into the world is brave and deserves all our support. So instead of penalizing these women, we need to assist them. It is an investment in a stronger Korea, as every child lost to lack of social services equals a loss of human potential. (Well, not to the other countries who receive them, but certainly a loss of human potential for Korea) And the kind of potential that comes from difficult beginnings forges the strongest character, which is endangered in these soft times. That’s a huge loss for Korea if this country intends to persevere in the future. As an ethnic Korean I want nothing more than to be proud of being Korean, but I can’t – because in the rest of the world Korea is still known as the best place to get unwanted babies, as a mean race that ostracizes and oppresses women, and as barbarians who eat their own pets. I believe Koreans want to be proud of Korea too, and so we should find real solutions which strengthen society instead of perpetuating practices which cause pain and literally diminish society. 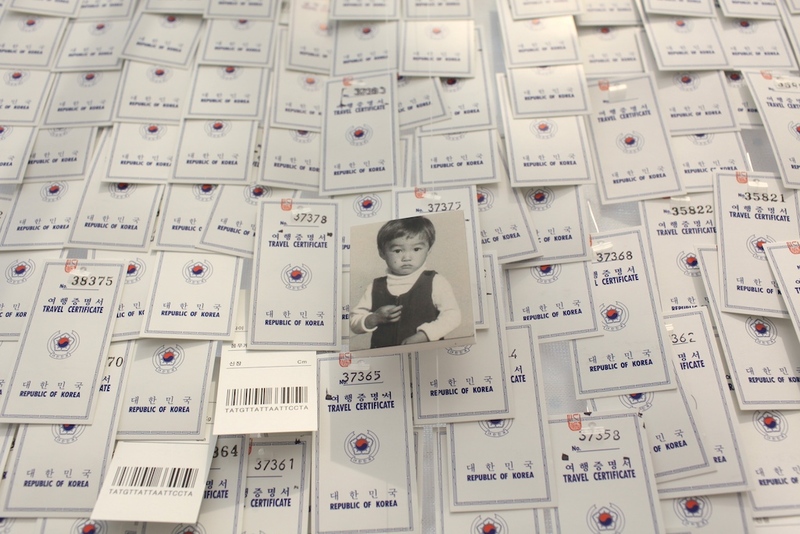 Adoption has been the easiest solution for the government for the past 50+ years, but it does not solve social problems and, I would argue, cutting off children from their mothers is maiming Korean people and Korean society, because it forces all Koreans to live with the stain of being the kind of people who throw away their own children. Adoption has been the solution of choice because it’s easier to sign away one number with one signature than it is to acknowledge that each and every number is a human being that deserves a chance to live their lives as God and nature intended. 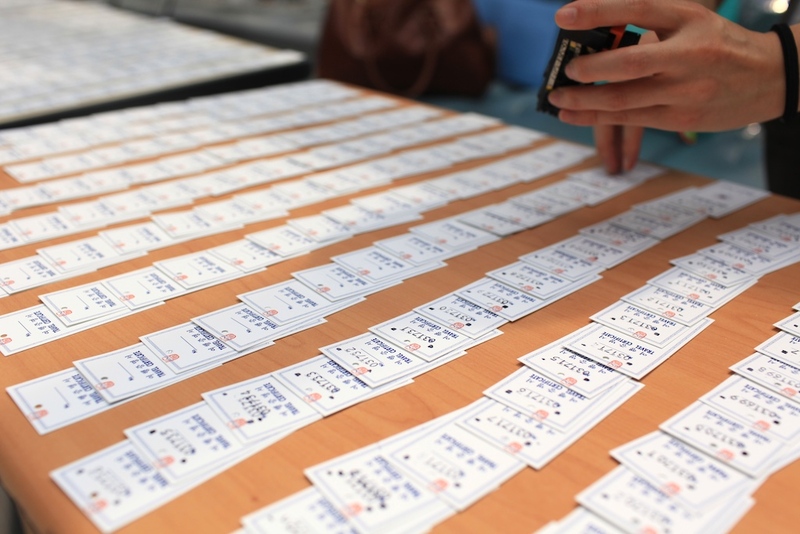 With only one month’s ’round the clock organization, adoptees visiting or living in Korea have united as a community to make this idea a reality, getting assistance from Korean nationals and unwed moms. 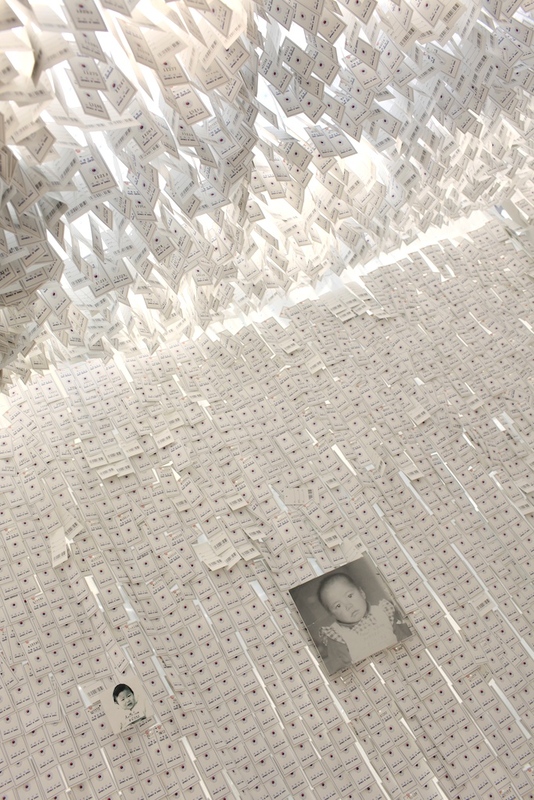 Over the course of two weeks, 90,000 price tags were stamped with an individual number representing one adoptee. Over 75 referral photos were sent in from all over the world. 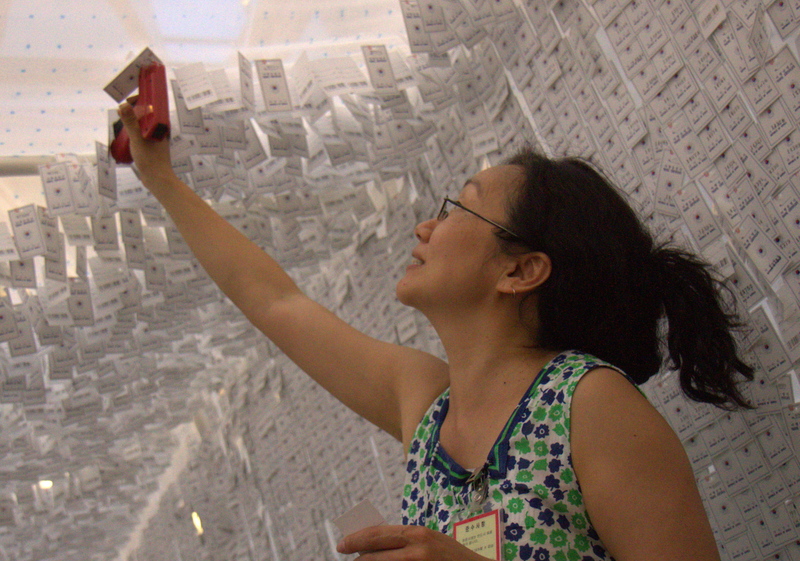 Over the course of the six day installation, approximately 60,000 tags were hung. We fell far short of the 200,000 but had known all along that would be impossible. I’m exhausted but it feels wonderful to do purposeful work. beautifully done my friend~ ! Every Life has a Special Purpose…Adoptees Just have an Extra Extension to that Special Purpose! Thank You for all your efforts for the Voices of Adoptees to come to Life!! btw dear you, you must to get this translated into Korean!! You should ask Jake or Woojin for a first draft and then we can polish! Must go to Pressian becuz there are 600-800 bills from Ministry of Hypocrisy just this session and we have to put the screws to them and make them vote on OUR BILL. Oh, and on top of all that, nice work! Wish I could see it in person. Amazing. Thank you for all the hard work you have done, and continue. I hope my photo made it into the display! oh my. breathless. what an amazing installation. i thought i understood this concept. i appreciated the words and nodded in empathy. then i scrolled down to the photos and nodded a bit more. 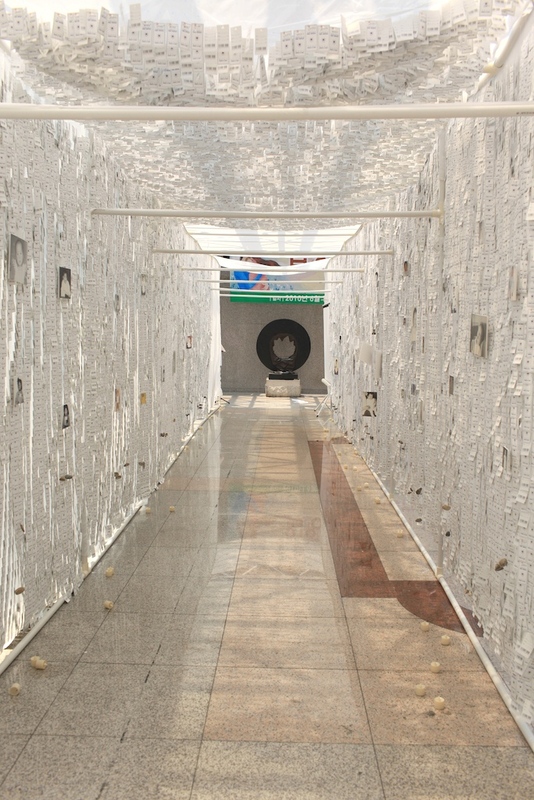 until i came to the long view of the tunnel of ‘price tags’ and i gasped aloud at the startling visual hammer to my heart. what a powerful piece. 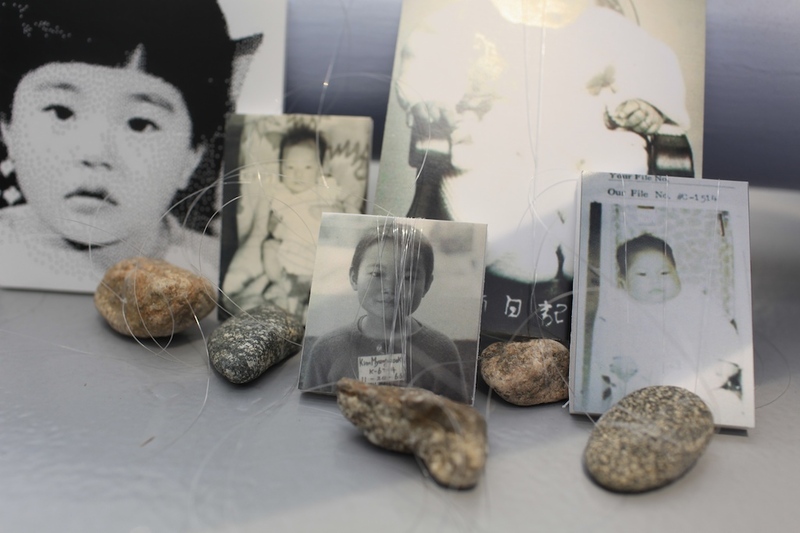 the sheer size of the adoptee diaspora is huge and tragic. i agree with girl 4708….each one is a very large significant number. amazing, sad, wonderful. i have tears streaming down my face… i am left speechless. hey, where is this thing at? is it part of a show? No. We had to take it down as another installation was on our heels. We’ve rolled it up and it’s in storage, and we may bring it out for another round. We may also send panels abroad for hanging in other cities. Lots of discussion – We did only get like 2/5ths of it finished, but I’m not sure how much energy the adoptee community here has left! I would love to see it at KAAN next year. I would really love to see it here. 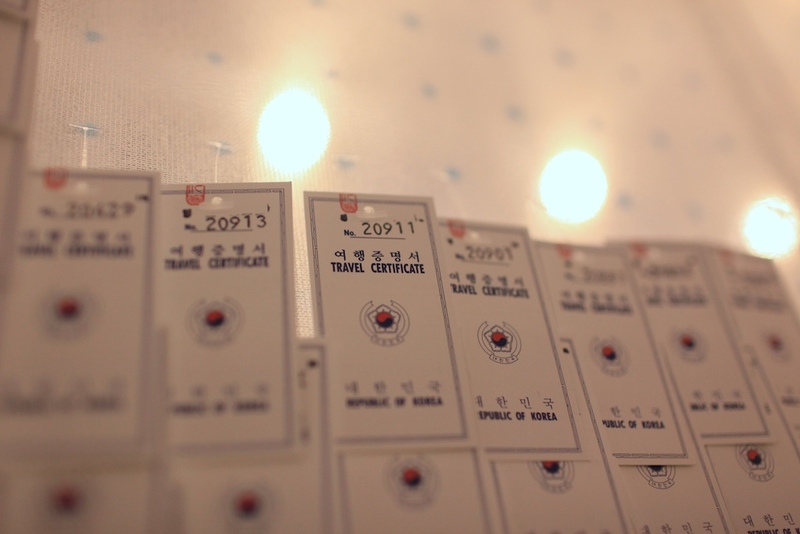 As a Korean-American, I am ashame of being Korean today. I can not agree more, Korea has to change and not view her social problems as shame but view as compassion. Compassion for innocent people, compassion for adoptees, compassion for unwed mothers, compassion for the handicaps. Afterall, it was not from choice. Someone should start a compassion campaign to replace shame. Are there some legislators who cried while walking in the tunnel or listening to your speech? The turn-out of legislators was pitiful. We had two supportive legislators and two glad-handing, condescendingly sacharine and probably opposing legislators. In addition, our deputy failed to get our press release out with enough notice. We will have to get our message out on our own in typical TRACK fashion. Hopefully the art itself will speak to many, and it also allows us to be featured in places we normally don’t have access to. One of the legislators looked very uncomfortable and guilty. Whether or not he will vote with his heart is another story. I retrieved those rocks from the river in CheongPyeong. Their function was to help stabilize the photos when the wind blows. The piece is definitely a memorial, but a memorial to the living: We are the lost children who are forgotten about when it is convenient. I am saying, how can 200,000 be irrelevant when you make your policies? It could be said that one identity was killed to make a new one. We can certainly mourn that. i totally agree, the rocks are very appropriate for the installation itself and our situation. in a way korea killed us (who we once were) when they sent us out. when we return now, as adults, we are merely ghosts of our past self, some clinging onto life they once had more than others. and i really hope that the koreans who saw this piece of artwork, realized this. i doubt it, however, since the tradition of the rocks, is not well known for those not familiar with jewish practices. Besides, parents of those who were sent without their knowledge could be thinking of them as dead. My siblings remembered me as dead, when they were at our parents funeral. I wanted to comment on David’s comment, which I will write more about later. Koreans I have talked to since the installation DID NOT KNOW international adoption was STILL OCCURRING, and were shocked. 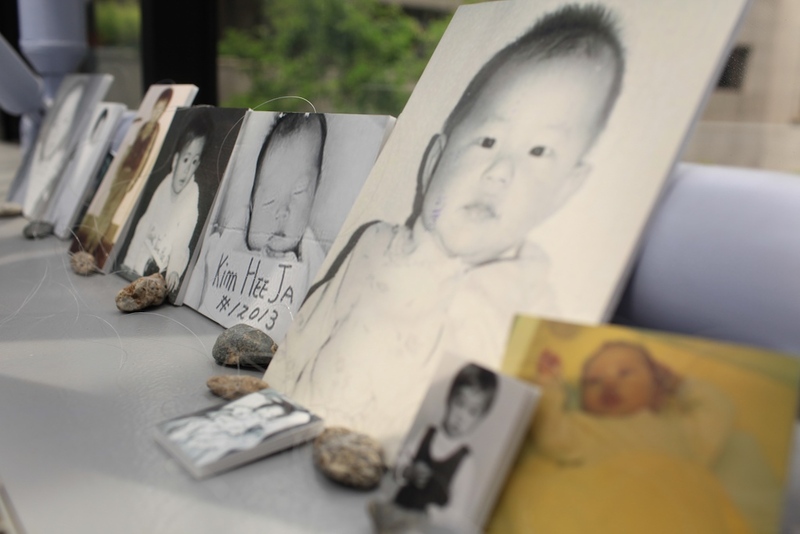 Some IA proponents believe it HAS TO continue because Koreans will always throw their children away. I think that is not true. I think Koreans are increasingly enlightened and information about shameful and dark practices such as IA are successfully kept out of mainstream media because there is still profit to be made by this industry. The Korean people need to know. And, if the Koreans I have spoken to are any indication, they are outraged and will do all they can to let others know. I believe Korea can change. I believe this installation’s message needs to be sent again. The day for compassion is just around the corner. It’s easy really – all the focus is once a year on domestic adoption or for international adoption, all the focus is on reunion stories. There might be a little nagging idea that there is still domestic adoption, but it’s reality is not felt, so the fact of an avg. of 3 children a day just blows the average Korean’s mind. I just don’t understand why korean give up their children like that. Its so sad. They shouldnt have done that. It’s so wrong of what theye did to their own children. What a beautiful piece of work — thank you and congratulations — such an accomplishment. I wish millions could see it and finally wake up to the reality of the pain of being separated from one’s mother, motherland, and mother tongue. Wow, that is a lot to say the least. Absolutely amazing, and absolutely devastating. You are my inspiration. Powerful… when you can visualize the numbers. Small numbers will build over time and create disturbances so powerful not only in their lives but thse they surround…the classic discription of the butteryfly effect. Please continue to make a change and to inspire other adoptees and legislators to do the right thing.